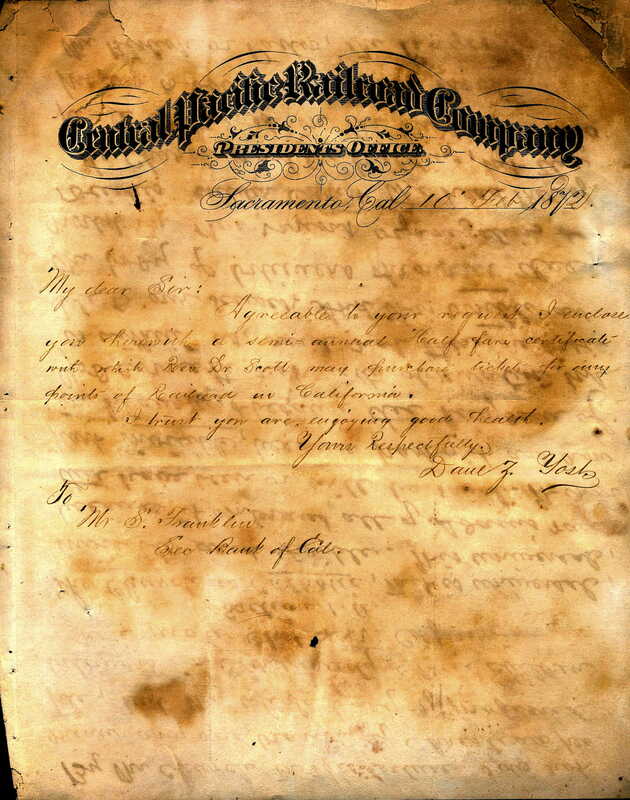 I have a hand written letter on Central Pacific Railroad letterhead from the office of the President, Sacramento dated February 10, 1872. It is addressed to the CEO Bank Of Cal (Assume Bank of California) Mr. S. Franklin. Anyone have any idea who is the person that wrote this letter? Perhaps the security for the president? To further make this interesting the Rev. 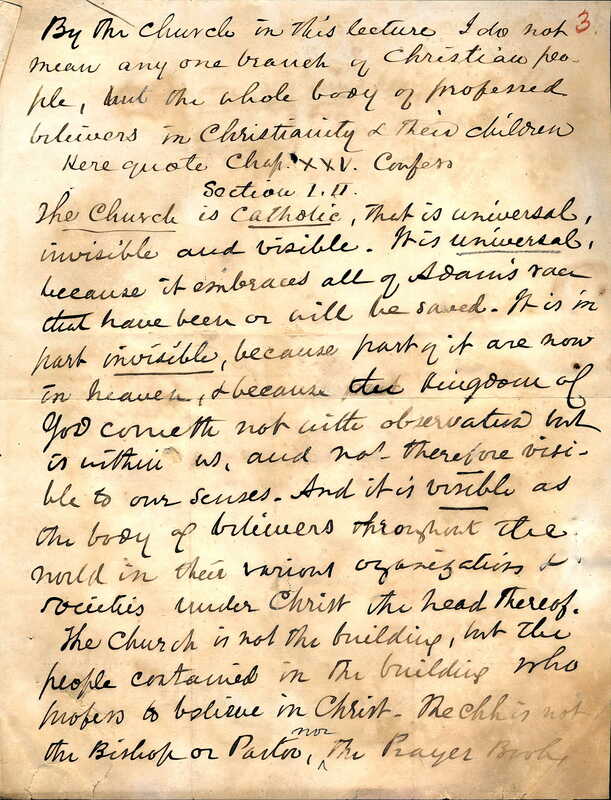 Scott wrote what appears to be a church sermon on the back of this letter. Daniel Z. Yost was Leland Stanford’s long-time personal secretary. At this time Stanford, former governor of California, was President of the Central Pacific Railroad. Anything from Yost most likely came from Stanford himself. Stephen Franklin is the Secretary (not "CEO") of the Bank of California in San Francisco. Rev. William A. Scott is the pastor of St. Johns Presbyterian Church in San Francisco. Daniel Z. Yost is the private secretary of Leland Stanford, and lives in San Francisco. Thank you so much for the information. Is this letter worth anything even with it being so faded? On eBay the seller does not need to know what an item is worth, because the bidders will decide the price. I think it is fun document and illustrates the use of free passes for select friends of the railroad leaders, although this is the first time I have seen the economy, “half price pass” used. I suspect a dealer in antique manuscripts could put a price on it. There are thousands of similar documents in archives but it is rare to be able to purchase one.